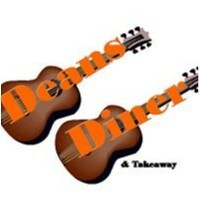 Deans Diner joined our Mission to help provide access to “Clean Water for All by 2030”. This Mission was initiated by the United Nations. A big thank you to Deans Diner’s team and customers for joining this extremely important mission on 24 January 2018. Taste the best old skool burgers at Newtown's hottest Rock n' Roll, style Greek milkbar. Burgers, wraps, souvlaki, seafood and lots of homemade meals, sweets and cookies. Eat in and BYO or takeaway. Catering also available.